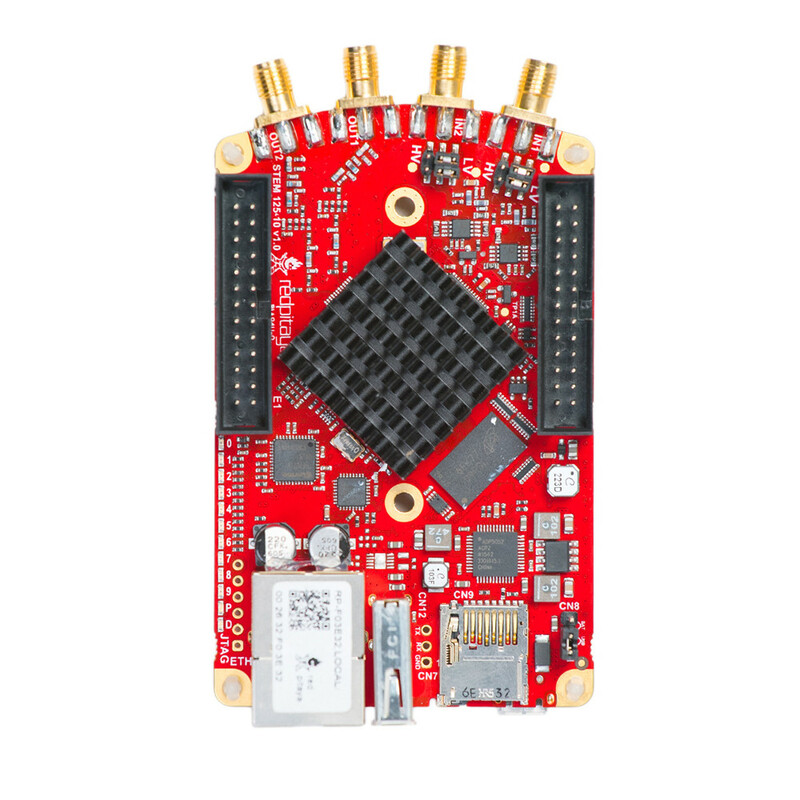 At about the size of a credit card and user configurable via open source software design, the Red Pitaya is an open source measuring device. 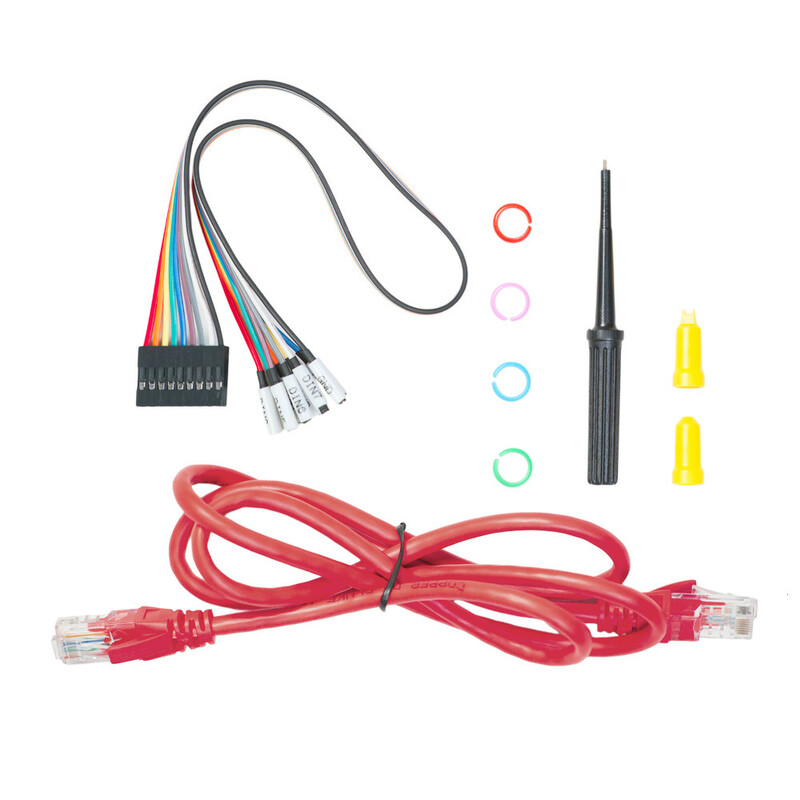 The Red Pitaya can function like many high-priced measuring devices like oscilloscopes, function generators, spectrum analysers and many others. And since it uses open source software there are more applacations being created all the time. 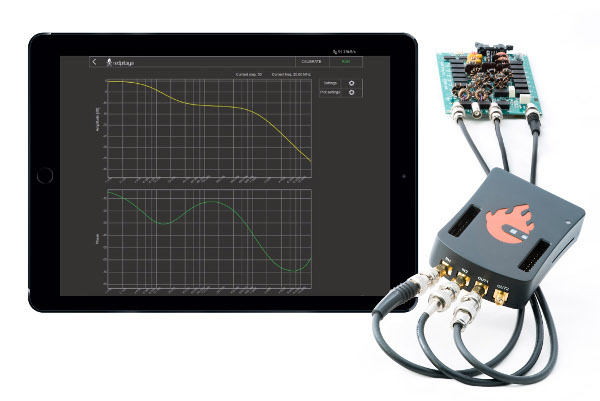 This application will turn your STEMlab board into a 2-channel Oscilloscope and 2-channel Signal generator. It is the perfect tool for educators, students, makers, hobbyists and professionals seeking affordable, highly functional test and measurement equipment. 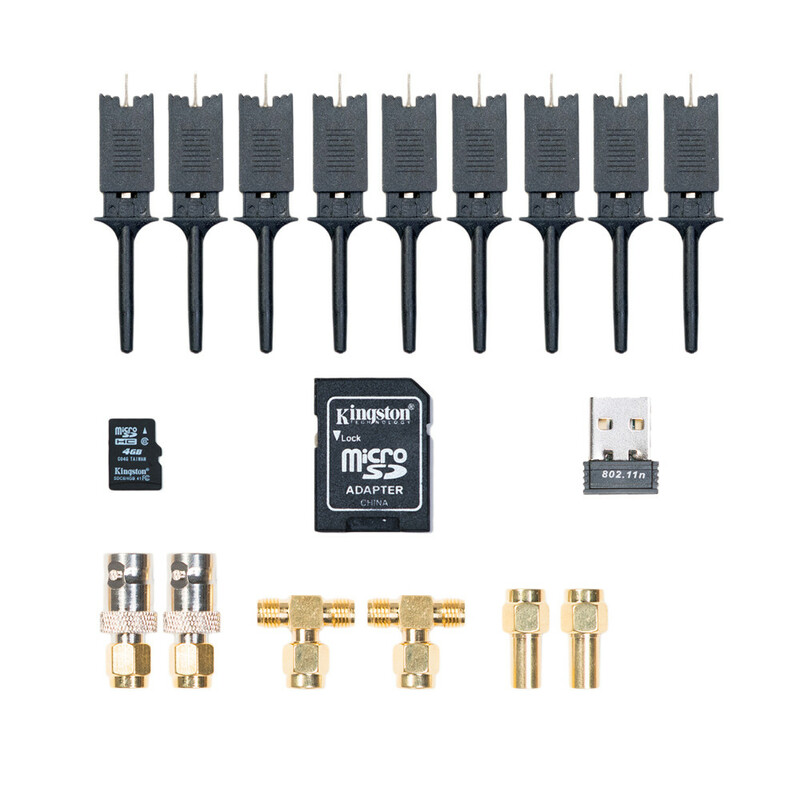 It enables generating and measuring electrical signals up to 50MHz. 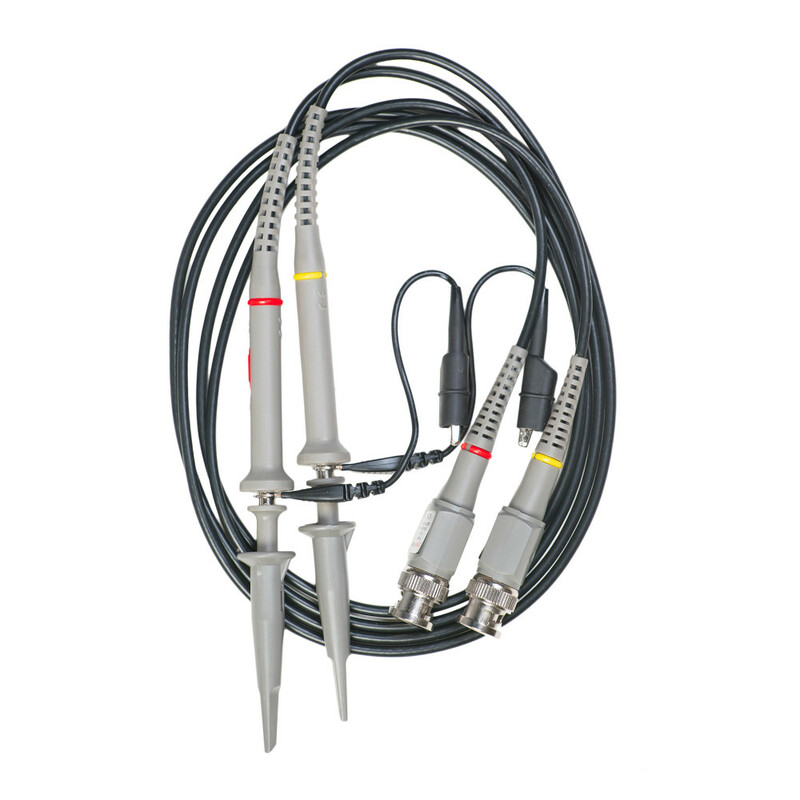 The simple and intuitive user interface provides all the necessary tools for signal analysis and measurements. High end specifications will satisfy more demanding users looking for powerful tools for their working benches. The application is web-based and doesn’t require installation of any native software. Users can access them via any web browser (Google Chrome is recommended) using their smartphone, tablet or a PC running any popular operating system (MAC, Linux, Windows, Android and iOS). The elements on the Oscilloscope&Sig. 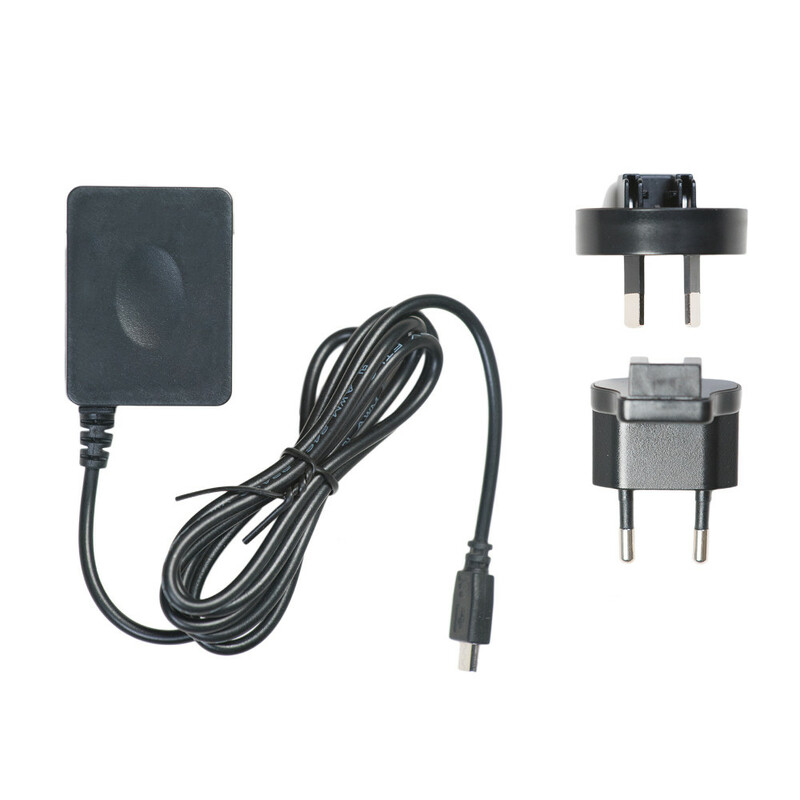 Generator application are arranged logically and offer a familiar user interface. Click here for a detailed introduction to the Oscilloscope & Signal Generator application. 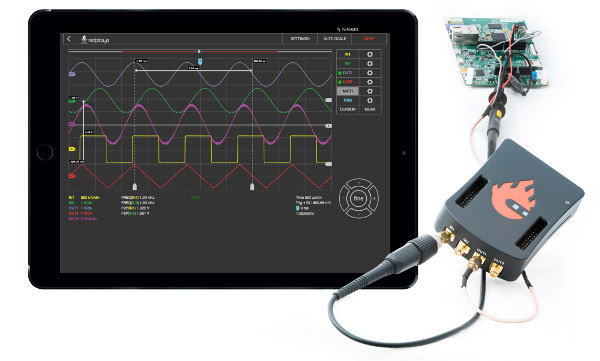 This application will turn your STEMLab board into a 2-channel DFT Spectrum Analyzer. 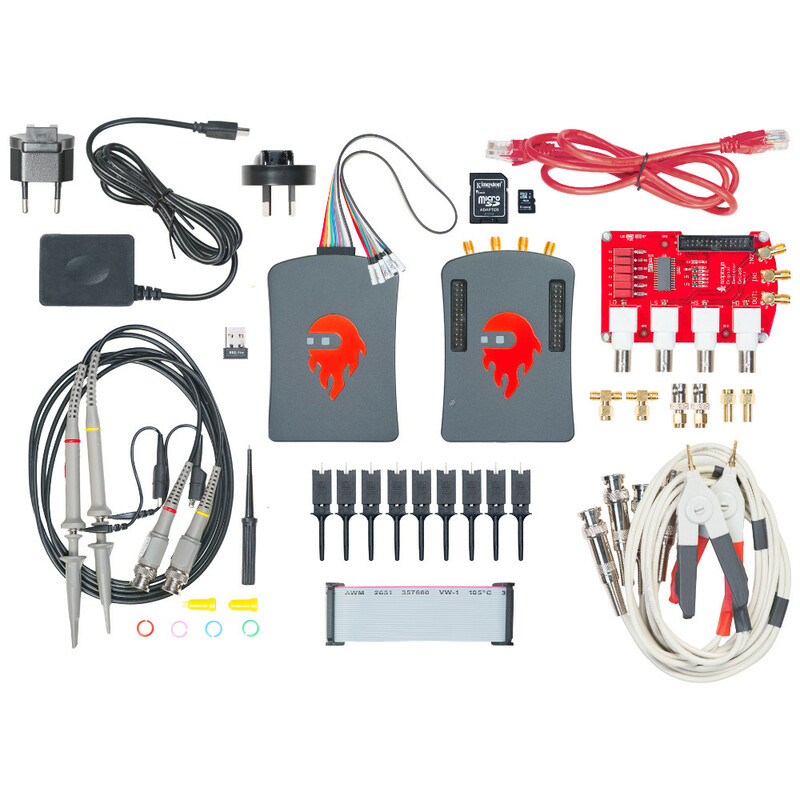 It is the perfect tool for educators, students, makers, hobbyists and professionals seeking affordable, highly functional test and measurement equipment. The DFT Spectrum analyzer application enables a quick and powerful spectrum analysis using a DFT algorithm. Frequency span is form DC up to 62.5MHz where the frequency range can be arbitrarily selected. You can easily measure the quality of your signals, signal harmonics, spurious and power. All Red Pitaya applications are web-based and do not require the installation of any native software. Users can access them via a web browser using their smartphone, tablet or a PC running any popular operating system (MAC, Linux, Windows, Android, and iOS). The elements on the DFT Spectrum analyzer application are arranged logically and offer a familiar user interface. 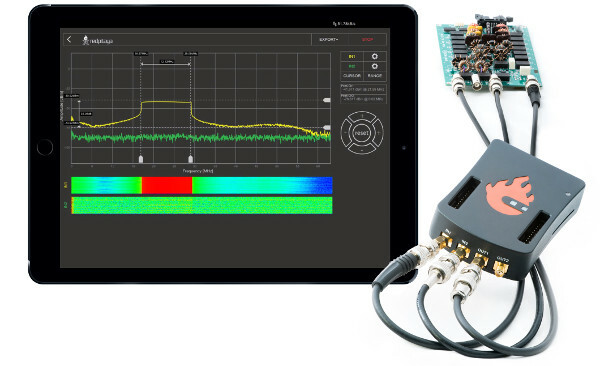 Click here for a detailed introduction to the Spectrum Analyzer Generator application. 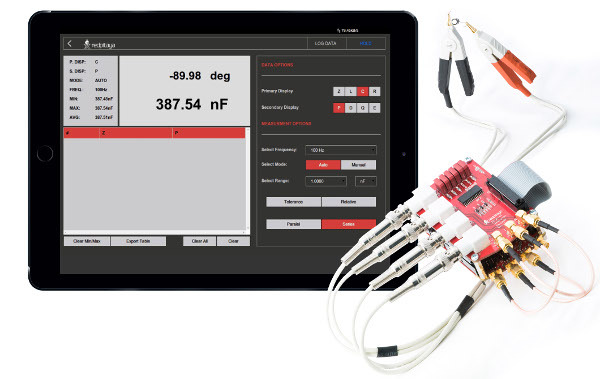 This application will turn your STEMLab into an affordable Bode analyzer. It is the perfect tool for educators, students, makers, hobbyists and professionals seeking affordable, highly functional test and measurement equipment. The Bode analyzer is an ideal application for measuring frequency responses of the passive/active filters, complex impedances and any other electronic circuit. The Gain/Phase frequency response can be used to characterize any device under test completely, you can perform linear and logarithmic sweeps. Gain and Phase can be measured from 1Hz to 60MHz. The basic user interface enables quick interaction and parameter settings. The Bode analyzer can be used for the measurement of Stability of control circuits such as the DC/DC converters in power supplies, Influence of termination on amplifiers or filters, Ultrasonic and piezo electric systems and similar. All Red Pitaya applications are web-based and don’t require the installation of any native software. Users can access them via a browser using their smartphone, tablet or a PC running any popular operating system (MAC, Linux, Windows, Android and iOS). Click here for a detailed introduction to the Bode Analyzer Generator application. This application will turn your STEMLab into an affordable LCR meter. It is the perfect tool for educators, students, makers, hobbyists and professionals seeking affordable, highly functional test and measurement equipment. The Resistor, Capacitors and Inductors are basic components of all electrical circuits and working on your projects you will definitely need to measure some components laying around on your working bench. The STEMLab LCR meter will enable you to do that quickly and accurately just by switching from one application to another. Notice: To use the LCR meter application an additional extension module is needed. 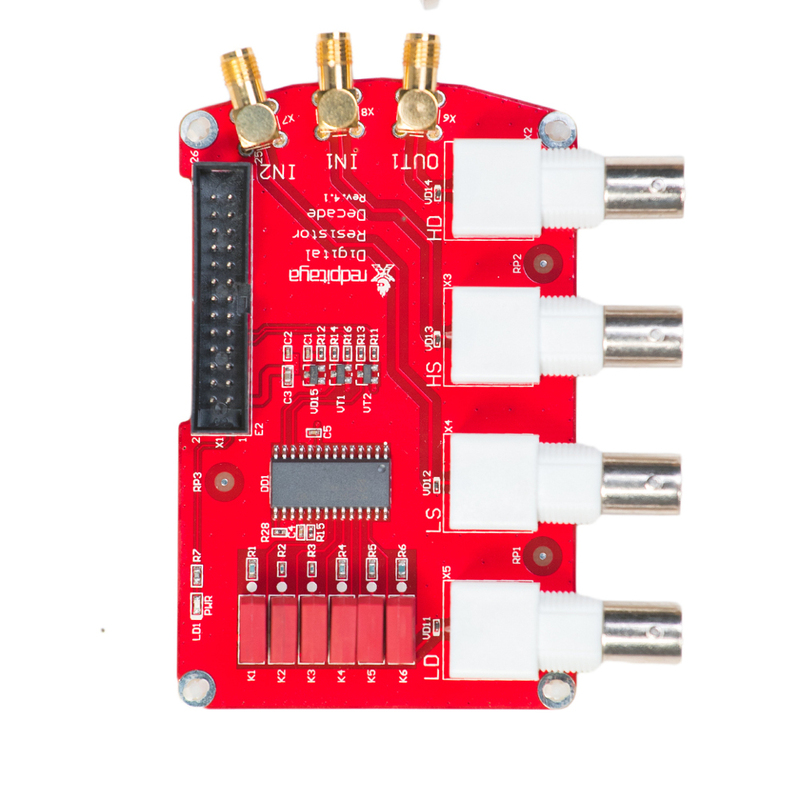 The LCR meter extension module is available on our web store, http://store.redpitaya.com/. All Red Pitaya applications are web-based and don’t require the installation of any native software. Users can access them via a browser using their smartphone, tablet or a PC running any popular operating system (MAC, Linux, Windows, Android and iOS). The elements on the LCR meter application are arranged logically and offer a familiar user interface similar to bench LCR meters. Click here for a detailed introduction to the LCR Meter Generator application.